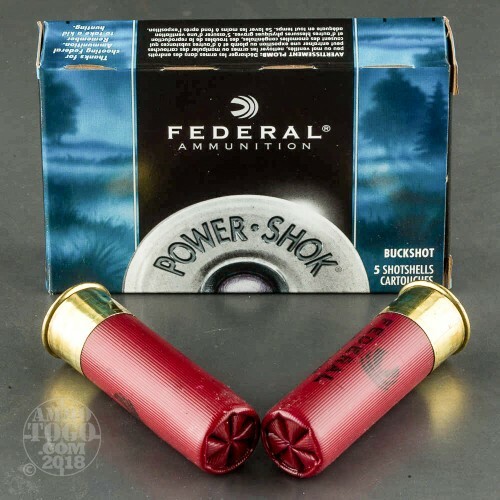 Federal Power Shok shotgun loads provide the hard-hitting power and performance you need whether defending your home or hunting hogs, whitetails, and predators. 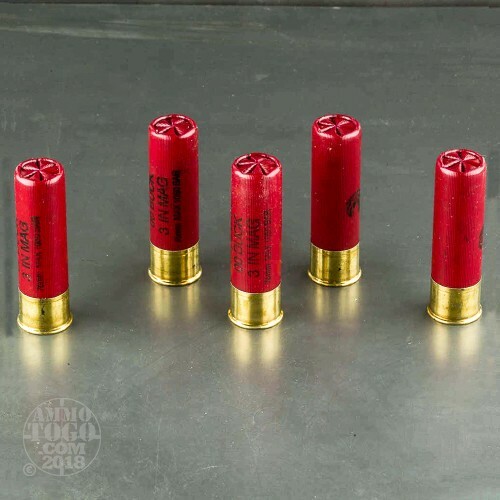 Each of these 3-inch 12 gauge shotgun shells is loaded with 15 lead pellets of 00 buckshot. 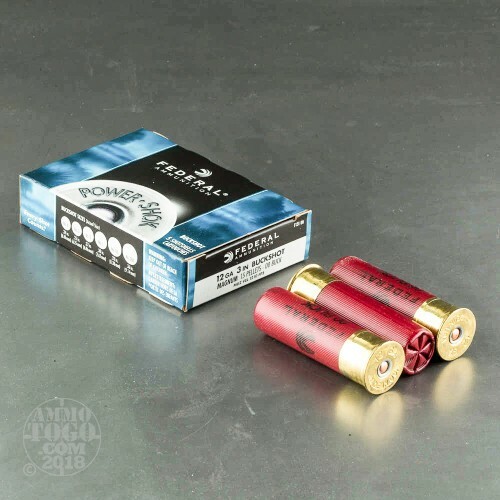 Featuring Federal Premium’s patented Triple Plus wad system and a granulated plastic buffer, these loads deliver impressive shot alignment, tight downrange shot patterns, and dependable pellet integrity. Each round produces a consistent muzzle velocity of 1210 feet per second and offers serious knock-down power. This ammunition is packaged in 5-round boxes. 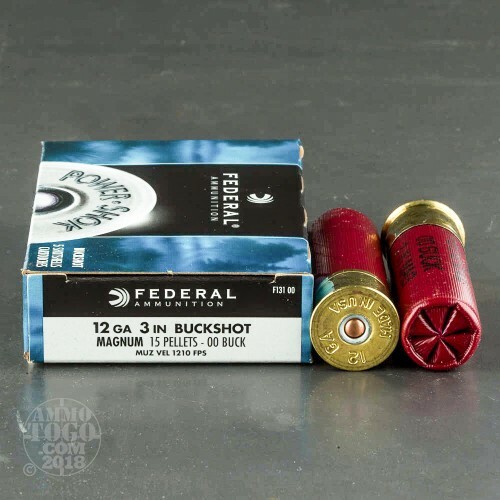 One of the most-trusted names in ammunition, Federal Premium has been producing high-quality ammunition for nearly a century. Headquartered in Anoka, Minnesota, Federal uses innovative technology to deliver reliable loads for nearly every shooting application.